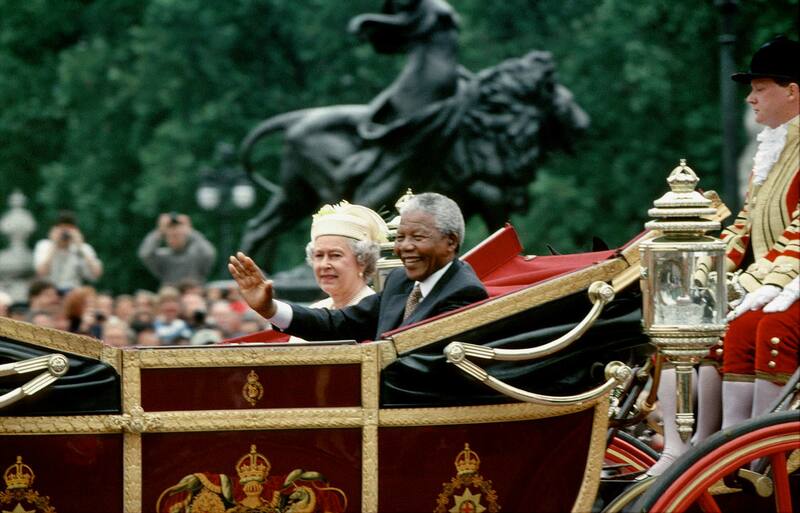 South African President Nelson Mandela and Queen Elizabeth II outside Buckingham Palace. Just a few weeks into his trip, Kramer photographed Mandela at the Commonwealth Heads of Government Meeting in New Zealand. Six months later, he photographed Mandela as he sang with the Robben Island prison choir at the Parliament Building in Cape Town. After traveling through much of the former British Empire, Kramer once again crossed paths with Mandela and caught a moment that shows how much the world has changed in the past century.